Is This January Or June? The weather the past two days has been more reminiscent of spring or early June than January. Temperatures rose to the seventies and the sky was a clear, gorgeous blue. There was even a heavy fog in the mornings both days. So glad I didn’t have to go anywhere early. After not flying for a couple of weeks, we couldn’t let these days pass by. After completing the things we needed to do (note the word need), we went to the beach and did what we wanted to do. Put some kites in the air. Both days we didn’t get out until after 3:00 but an hour or so flying is better than no flying at all. Contrary to what the weatherman said, the winds were very light on Tuesday. Luckily I had my sure-fire, light wind kite, the Chiroptera. It wanted to fly before I even got the line hooked up. It took off and rose straight up and stayed there fluttering in the sky. The wind was a little gusty so at times there were some mid-air acrobatics, including a couple of complete roll-overs, but it always recovered and rose again. So from the very new to the vintage, the second kite that I put up was the Joel Scholz Butterfly. This kite is not supposed to be a light wind kite. It is a heavy kite with five wooden dowels for its framework. But it is so well designed and balanced that it will go up in the lightest winds and just sit there and rock slightly from side to side. 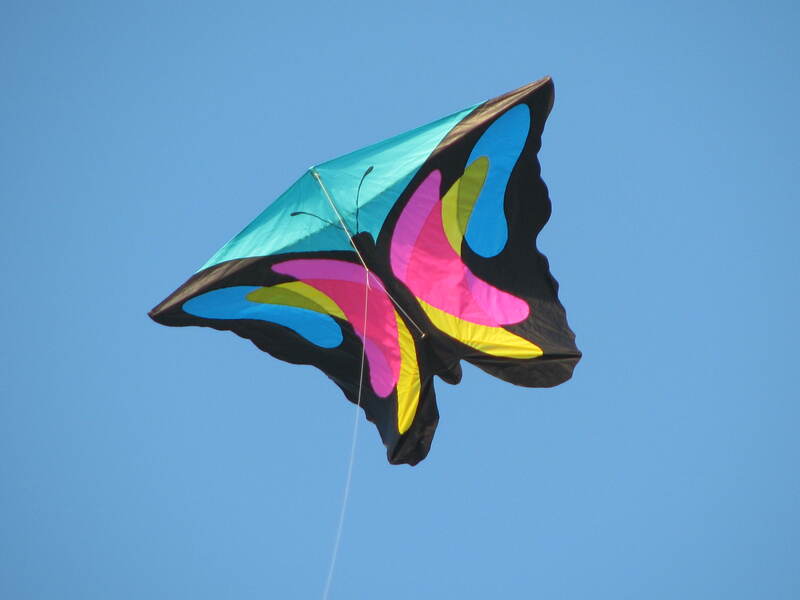 It is a fun kite and gorgeous to look at. Any kids in the area invariably point to it. sometimes I think the new kite designers need to go back and take a look at some of those vintage kites. 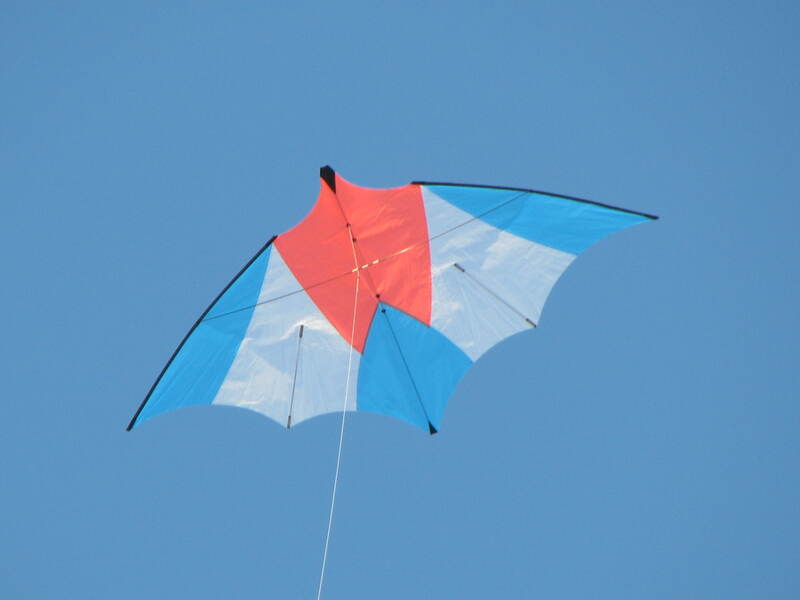 Many of the were kites do not fly half as well as the vintage models. Sometimes we get so wrapped up in the “latest and greatest” that we lose sight of the “tried and true”. I guess that’s why I am different from most fliers in that I don’t get into all the tricking and I search to add vintage kites to my bag. Oh yes, I do fly them, too. In fact, I have a couple of new additions that I hope to bring out when the wind and the weather cooperate. Wednesday the wind was up a trifle and off we went again. Found the EO6 hiding in the bottom of the kite bag and decided to give it a try. This is an interesting kite in that in steady winds it will hang in the sky and in gusty wind it will dip and dive and remind one of fighter kite. 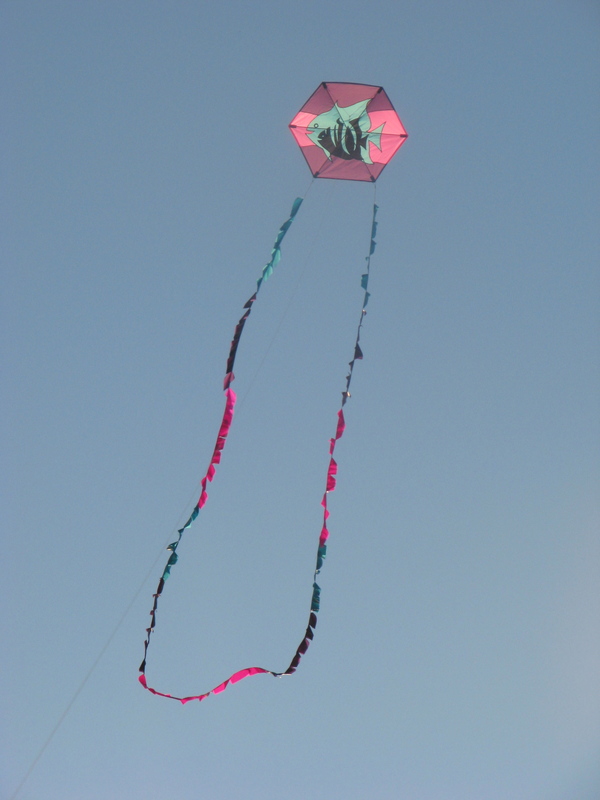 Tugging on the line brings causes tumbling from which the kite recovers and rises again. I’m afraid we were at the bottom of its wind range so we couldn’t just anchor it and watch it fly. We had to be on the line to give it a boost now and then. It was fun nonetheless. 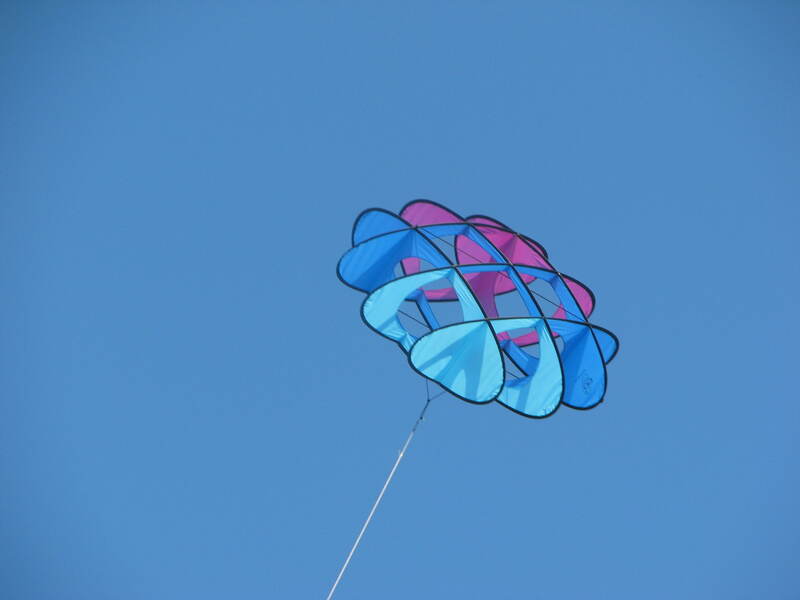 The other kite that flew was the workshop kite from the last Carolina Kite Festival. I call it “Go Fish”. Some of you may have seen this kite on an earlier post. 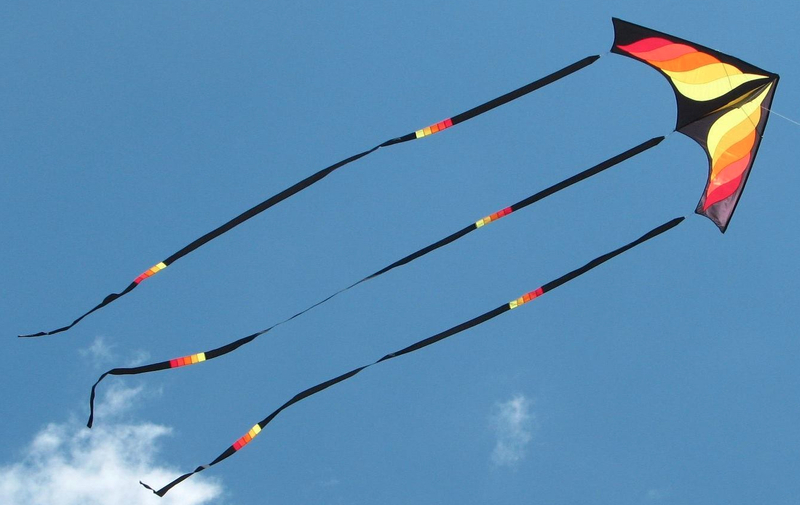 It is a great kite and easy to fly. I tried cutting the tail differently and I’m still not sure I like it. I may take my scissors out and make the tail more like a standard fuzzy tail. It may fly and look better. So now we’ve had our kite fix for a while. Hopefully the weather will continue to cooperate and we will have our regular club fly this weekend.